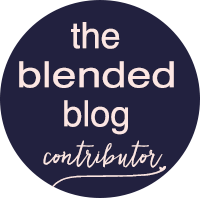 The Blended Blog ladies and myself are using this Themed Monday as a bit of a reintroduction, so to speak. I decided to do a “Nine” on the 9th: 9 random facts about me that I may not have divulged before. This list is actually a mile long as there are tons of things I have never talked about here before. I believe we always have new things to learn about one another. 1. I had a short Lived Modeling Career in the late 80's. 3. Speaking of 9, when I was 19, I won a radio contest on U93, they played my top 9 Summer Hits and I won $93! 4. Twice, I went out with someone famous, one before he was famous and one when he was famous.....that may have to be a post. 5. Our oldest son was a baby/toddler model. 6. When I was 16, I went in a trip to Germany and won a yodeling contest at a cabin at the top of the Alps. My prize? A mini bottle of vodka, lol! 7. A few people knew, but my husband and I pretty much eloped to Gatlinburg, Tennessee. 2 Bonus Mr. Nine facts: We used to go to the same HS Dance club: "Greg Allen's Off The Strip" but never met back then. AND we lived .7 tenths of a mile apart when we met but didn't know it. 8. I love to write poetry and often for friends and family for milestones. One time, about 15 years ago, I had a poem published called "More Than We Knew." I'll share it sometime. It was about Michael Jackson. 9. I love all music but I really, really LOVE old school country like Conway Twitty, George Jones, Dolly, Tanya Tucker....in fact, Delta Dawn my all time favorite song and as a little girl my mom said I sang it all the time. 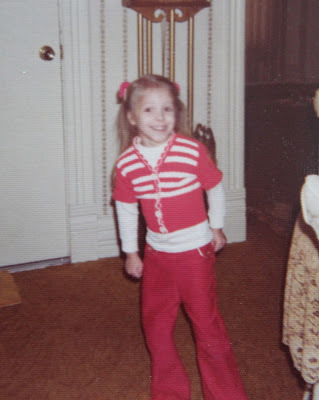 Probably was belting it here in this Throwback photo, digging the red flares! BONUS: because I just heard about it from my friend Jess at Elegantly Dressed and Stylish. Gulliver's Gate: It is an interactive 1/87 scale miniature a block wide in Times square of 25 countries. The largest collection of interactive miniatures in the WORLD!! Guess what just went on the bucket list!! I LOVE Miniatures!!! Like LOVE!! I went crazy for the one in Chicago a the Museum of Science and Industry....here Mr. Nine and the boys were ready to go, but I was like “nooo, I want to say here all day!" Hope you day is full of joys: BIG snd SMALL!! LINK-UP a Post about YOU, even your "About Me" page so all these fine readers can know you even better!! I love posts like this Andrea. I've never shared my about page before either! What a fun post, Andrea! These are always so fun. My husband's friend was married in Gatlinburg, TN a few years ago and we went to the wedding. What a pretty place! Happy Monday! Beauty in the family and it is no surprise that you modeled or your son. Loved learning more about you!!! Love that modeling photo of you and those legs haha!!!! And you must do a post on the famous person you went out with! I've got to know! Happy Monday! What fun facts! No surprise you had a modeling career gorgeous lady! You have definitely spiked my interest with your dating famous people...do tell!!! A yodeler and a model? No wonder Mr. Nine ran you down to Gatlinburg to keep you forever! What a fun post, though you do have all of our curiosity piqued! I love love love this!! You are so beautiful so that modeling needs to come back ;) and I’ll be waiting on the post about your famous date. Happy Monday my fabulous friend! Andrea you continue to amaze me with all these little tid bits! No wonder you are such a doll you are amazingly well rounded and SO MUCH FUN! Wha Wha WHAT?? A model?! Why does this surprise me?? I guess because I've never known a model before and to think this whole time you've been holding out!! LOL! But OF COURSE you are a model, Beautiful friend! LOVED this post! And yes!! More deets on #4 ASAP!! OK, Andrea... you MUST write the post about your famous dates soon!! I'm not surprised that you were a model. Have a wonderful week! Keep yodeling! It's a lost art and it's up to you to bring it back!! No surprise that you used to be a model because you're absolutely gorgeous! I'm also so intrigued to know who this famous man was haha! Happy Monday friend! I love these fun posts!! This was just the best link up and such fun for me to compose. And, just loved learning more about you and those "9's" in your life. How funny! And, I had no doubt there had been some modeling in your past, thus the reason you are still so good at it. BTW, I'm blessed to be a recepient of your very thoughtful compliments and I thank you so much. I just wish we could meet and have a face to face visit. You just need to head our way and Laura and I will give you a big ole' Louisiana welcome for sure!!! Hugs! Sounds like you have won a lot of contests! You are such a fun and amazing person! I NEED to know who the famous person you dated was!! At least share it in slack??? Omg..... someone famous!!!! You must share. This is so fun! I love that you can yodel! OMG that is so fun to listen to. I haven't heard it since I was a child. Happy Monday! OK - every fact just had me smiling the whole way through. TOTALLLLY needs to be a post of your famous date!!!! Look at you 80's model!!!! I love you eloped in Gatlinburg. That was the place to get married. Was it in one of those little chapels???? I cant really stand country, but old time country? YES! It's all that was played in my home growing up. Dolly will forever be QUEEN to me! I love your modeling picture! 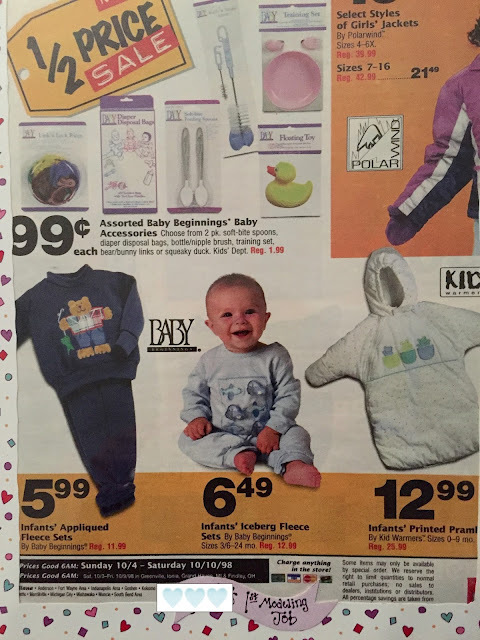 And, a baby model in your family. Yes, to a post about someone famous. I think you need to share who you went out with who is famous now. I am dying to know! You have those modeling genes for sure! Your oldest was the cutest little baby model and you were rocking some moves! I loved the fact about you and Mr. Nine! My husband and I also had many occasions in life we were right next to each other and didn't meet. I think thats how you know it's meant to be - you were always just this close to meeting each other! Also kind of crazy you live right by Erin! I don't read her blog much, but every now and then I come across her on facebook. You have got to do a post about the someone famous, please! These are all such interesting facts, you really are quite the onion! I love that you and Mr. Nine waited until you were ready to meet each other! The universe works in mysterious ways! You still look like your modeling picture. I have to hear you yodeling now!!! And YESSSS share the post about the famous people you have dated! You're so talented and beautiful! I'm not surprised you were a model! It's fun getting to know you better with these random facts! That definitely needs to be a post! I love these random facts! You could still be a model! Can you please write a post about your dates with famous people? I’m dying to know more about it! And that’s too funny that you and Mr Nine basically eloped! I had no idea! I love that you were a model and so was your oldest! Too funny! These posts are always so fun! I love learning weird and nifty little facts about everyone! So you're killing me though... WHO DID YOU DATE THAT WAS FAMOUS?!?! I NEED TO KNOW! OMG..this was so fun to learn about you Andrea!! You definitely need to write that post with your famous dates!! Ok, this was so fun!! I would be stalking down Erin's doorstep if I lived that close LOL!! And you need to spill about the famous person!! How cool you and your son had modeling careers!! I love this! That's awesome about both you and your son for modeling. And I love that you're such a country music fan- me too! Give me the classics all day long! Loved that picture of you modeling! I want to know who this famous person is!! Why am I not surprised that you had a mini modeling career?! I too had a poem published once and used to write it like crazy. I had notebooks full of them all through high school and college. Wow! Those are some interesting facts. I'm fascinated to learn who the celebrity was. What a fun post! Look at you and the modeling going on in your family! Love it!! bahahaah YES, OMG that has to be a post. I want to know who it was! I have to know who the celebrity was now!! Who knew you were a family of models?!! Well, I guess I could have guessed that...look at you guys!! And I'm agreeing with everyone else...we NEED that post about your famous date! My mind is racing with who it could have been! 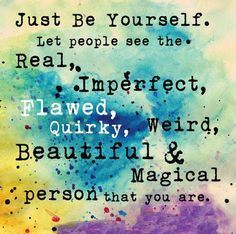 :) Have a great week gorgeous! LOVED this post! What a fun post! 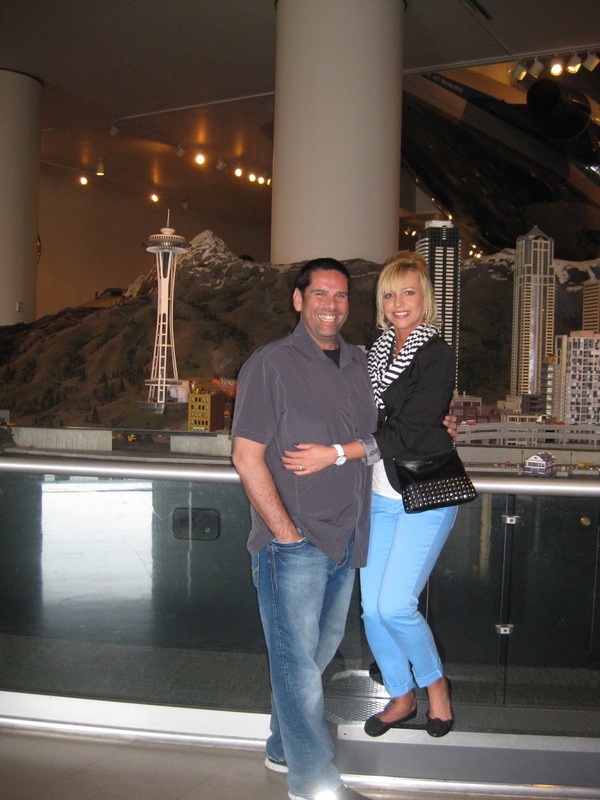 How cute your son is in that magazine and I also love miniatures! I can het all exited over a miniture kitchen with all these lovely little kitchen tools. We have a garden center here nearby that has the biggest miniature show at Christmas time. I am almost drooling over there every year! What a super fabulous post, Andrea! I love that you did some modelling in the 80s – you seriously have not changed one bit. You look exactly the same! The post about dating someone famous TOTALLY has to be a post. I'm dying to know who it was. So, yesterday I went to my post box to pick up my mail and lo and behold there was an envelope from.... YOU!! I was so EXCITED!! When I opened it to find all these owls, I was ecstatic. THANK YOU SO MUCH, my friend. You really are the most wonderful, kindest blogging buddy in the world. Hubby and I are definitely going to include Indiana when we next visit the States – purely so we can finally meet. HUGE hugs, and thanks again, Andrea! and you should still be a model! Okay I need to know what famous person...stat! I'm so nosy, I need to know it all! I love you so much, and the many random things you have done and all of the throw back pictures you always post. I love learning these facts about you. Yes please write a post on your dates with a famous person. I need to read that. You and your son were models. So awesome. I love that. This was so much fun! I like how you did the random facts. Conner was a toddler model too - they loved his red hair. I'll have to pull out some of his stuff. And yes, we need a post about the famous dates :)! Wow, modeling runs in the family. Gosh, girl, you could be a model now. I'd love to read a post about the famous person you dated. I used to write poetry back in the day and have a collection of the ones I wrote. It's been a long time since I've last wrote one.